As some of you may know, I often watch The Chew when I am at home. I love the mix of talk-show banter and cooking goodies. My favorite co-host is Michael Symon, because he isn’t afraid of butter, steak, or bacon. 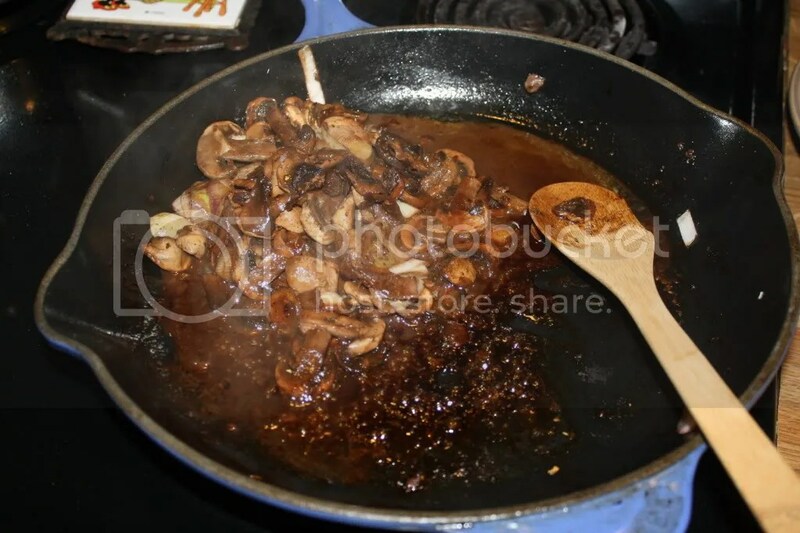 A few weeks ago he did a Pan Roasted Steak with a Red Wine Sauce. John has started making his own wine, so I decided to make this recipe with his wine! 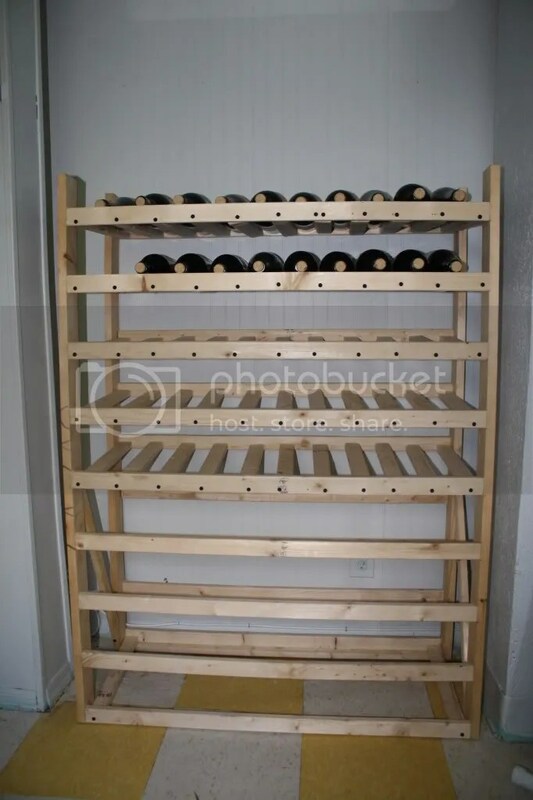 He even built a wine rack! 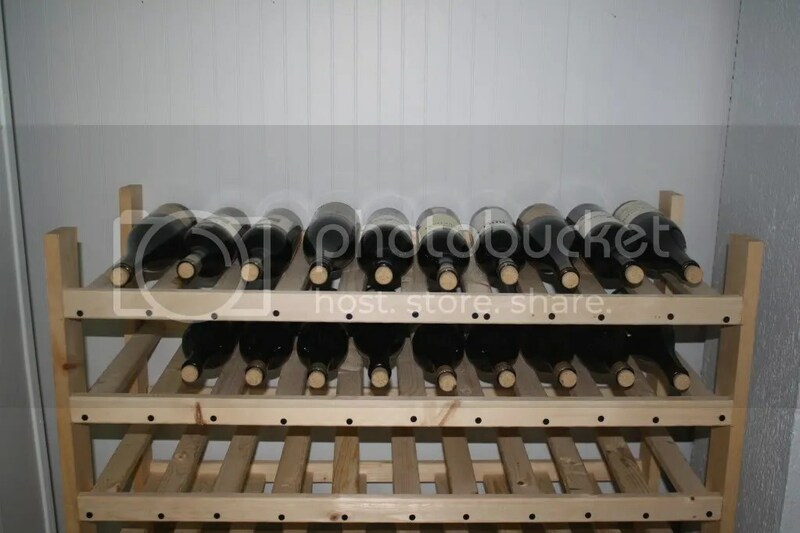 Since then, he has filled a few more rows up with his white wine. It is pretty good, too! I’m so proud of him. Anyway, back to the food. I started by defrosting some steaks, seasoning them with salt and pepper. 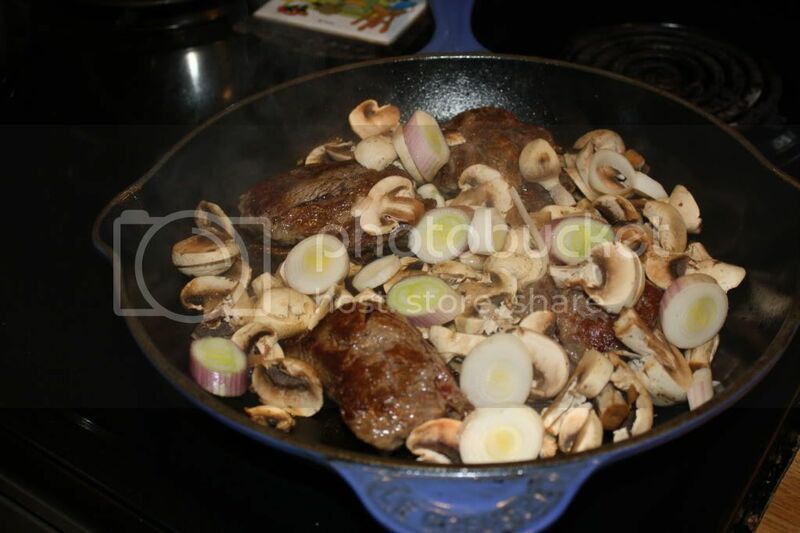 I cooked them in our enameled cast iron pan in tallow… MMMM! 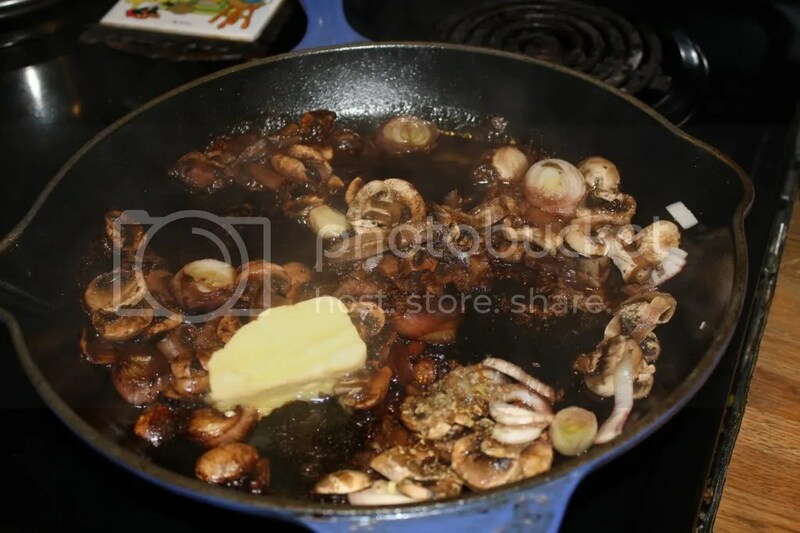 When they were seared and cooked I added a few cups of sliced up mushrooms to the pan. 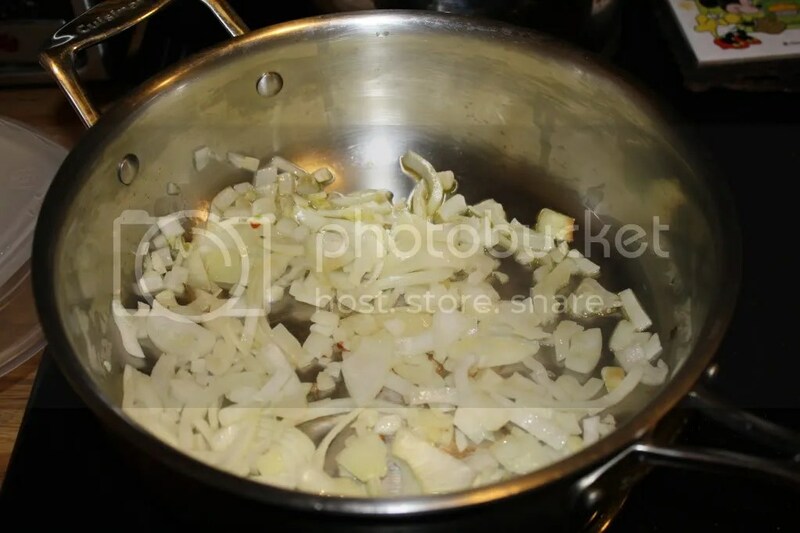 When they started to cook, I added in sliced spring onions and garlic. 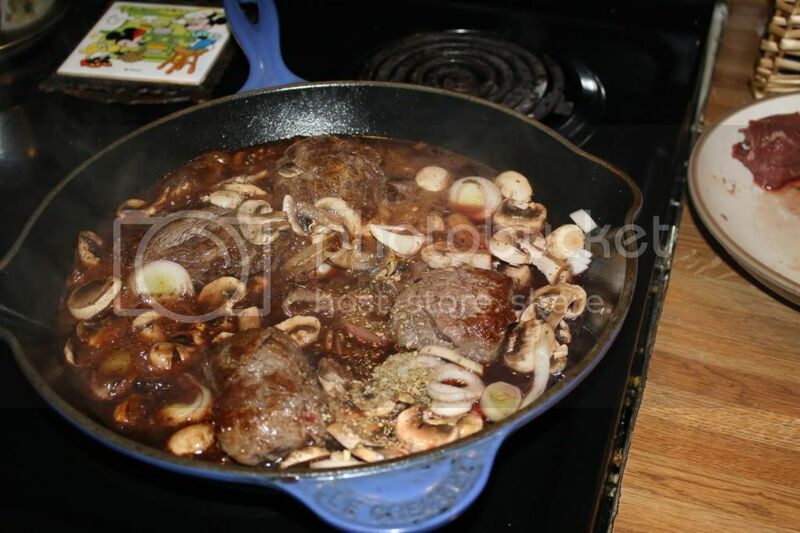 Once they were browning nicely, I added John’s delicious red wine, oregano, and red wine vinegar. 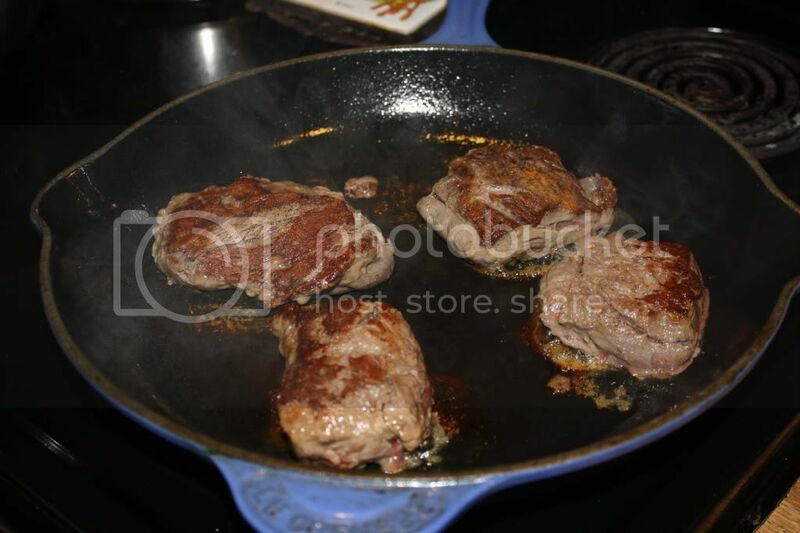 I took the steak out, let the sauce start to reduce and added butter. 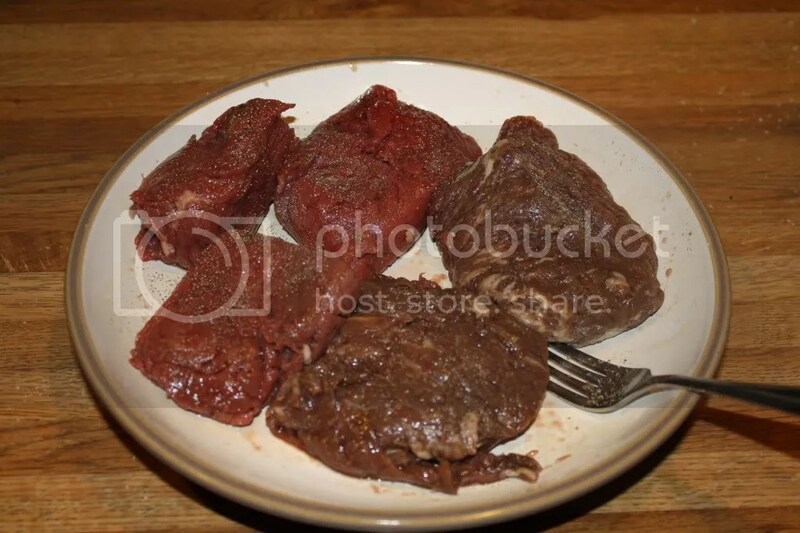 It finished reducing the sauce while the steaks rested. 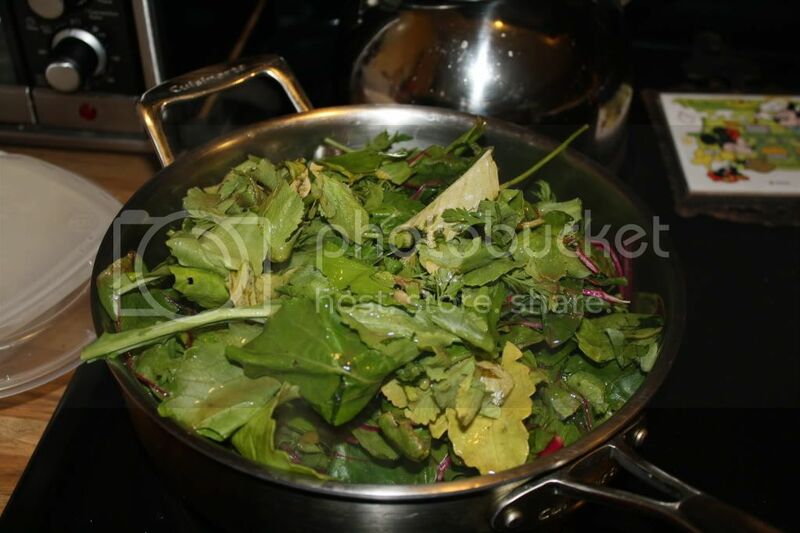 I had another pan going that I used to saute onions and garlic for the greens. 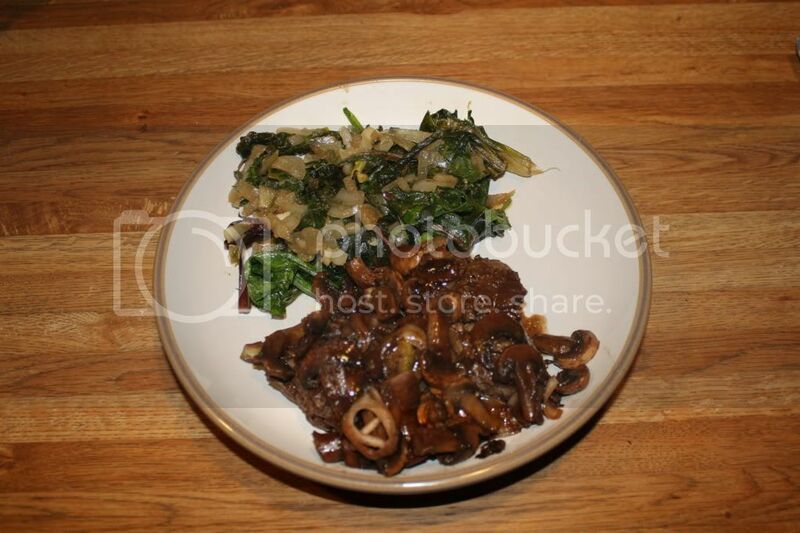 Together, the steak with mushroom sauce and garlicky greens were a perfect match! This post was shared on Pennywise Platter! 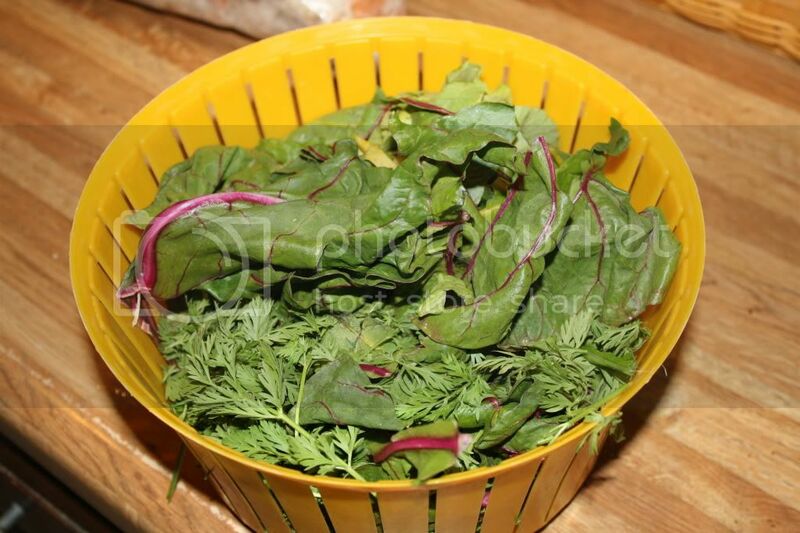 Categories: beef, greens, meat, mushooms, veggies, wine | Permalink. 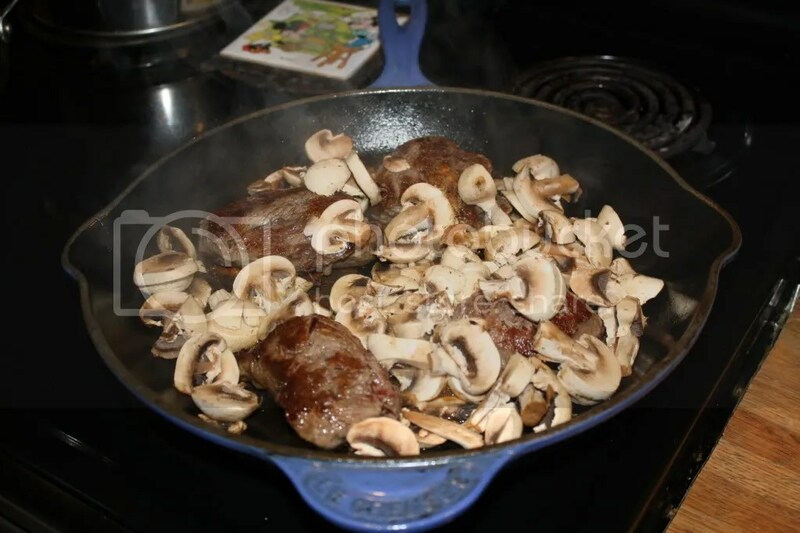 Steaks, wine and mushrooms – What a marvelous combination! Your dinner looks amazingly delicious!